China’s President Xi Jinping faced two existential threats to Communist party rule when he took office 5 years ago. He focused on the first threat, from corruption, by appointing an anti-corruption tsar, Wang Qishan, who toured the country gathering evidence for trials as part of a high-profile national campaign. More recently, Mr Xi has adopted the same tactic on an even broader scale to tackle the second threat, pollution. Joint inspection teams from the Ministry of Environmental Protection, the party’s anti-graft watchdog and its personnel arm have already punished 18,000 polluting companies with fines of $132m, and disciplined 12,000 officials. The ICIS maps below confirm the broad nature of the inspections. 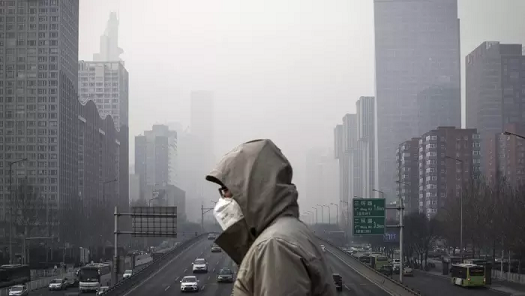 They will have covered all 31 of China’s provinces by year-end, as well as the so-called “2+26” big cities in the heavily polluted Beijing-Tianjin-Hebei area. The inspections’ importance was also underlined during October’s five-yearly People’s Congress, which added the words “high quality, more effective, more equitable, more sustainable” to the Party’s Constitution to describe the new direction for the economy, replacing Deng’s focus from 1977 on achieving growth at any cost. It is hard to underestimate the likely short and longer-term impact of Mr Xi’s new policy. The Ministry has warned that the inspections are only “the first gunshot in the battle for the blue sky”, and will be followed by more severe crackdowns. In essence, Mr Xi’s anti-pollution drive represents the end for China’s role as the manufacturing capital of the world. The road-map for this paradigm shift was set out in March 2013 in the landmark China 2030 joint report from the World Bank and China’s National Development and Reform Commission. This argued that China needed to transition “from policies that served it so well in the past to ones that address the very different challenges of a very different future”. The report focused on the need for “improvement of the quality of growth”, based on development of “broader welfare and sustainability goals”. However, little was achieved on the environmental front in Xi’s first term, as Premier Li Keqiang continued the Populist “growth at any cost” policies of his predecessors. According to the International Energy Agency’s recent report, Energy and Air Pollution, “Average life expectancy in China is reduced by almost 25 months because of poor air quality”. 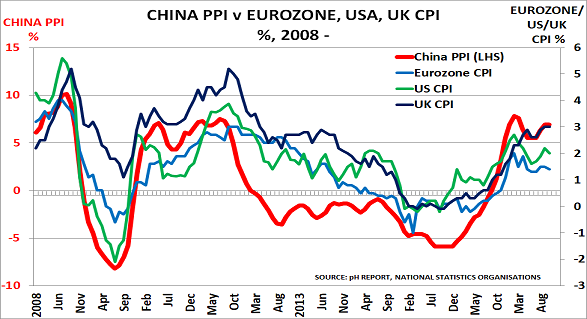 But as discussed here in June, Mr Xi has now taken charge of economic policy. He is well aware that as incomes have increased, so China is following the west in becoming far more focused on ‘quality of life issues’. Land and water pollution will inevitably take longer to solve. So his immediate target is air pollution, principally the dangerously high levels of particulate matter, PM2.5, caused by China’s rapid industrialisation since joining the World Trade Organization in 2001. As the state-owned China Daily has reported, the Beijing-Tianjin-Hebei region is the main focus of the new policy. Its high concentration of industrial and vehicle emissions is made worse in the winter by limited air circulation and the burning of coal, as heating requirements ramp up. The region has been told to reduce PM2.5 levels by at least 15% between October 2017 and March 2018. According to Reuters, companies in core sectors including steel, metal smelting, cement and coke have already been told to stagger production and reduce the use of trucks. Investors and companies must therefore be prepared for further surprises over the critical winter months as China’s economy responds to the anti-pollution drive. The spring will probably bring more uncertainty, as Mr Xi accelerates China’s transition towards his concept of a more service-led “new normal” economy based on the mobile internet, and away from its historical dependence on heavy industry.This paradigm shift has two potential implications for the global economy. One is that China will no longer need to maintain its vast stimulus programme, which has served as the engine of global recovery since 2008. Instead, we can expect to see sustainability rising up the global agenda, as Xi ramps up China’s transition away from the “policies that served it so well in the past”. A second is that, as the chart below shows, China’s producer price index has been a good leading indicator for western inflation since 2008. Its recovery this year under the influence of the shutdowns suggests an “inflation surprise” may also await us in 2018. The post Anti-pollution drive hits China’s role as global growth engine appeared first on Chemicals & The Economy. Outside observers often imagine that China’s political structure is uniquely disciplined – unlike, say the US Republican Party, or the UK Labour Party, or indeed, political parties anywhere. But the fact that most arguments take place behind closed doors, and aren’t reported in the state-controlled media, doesn’t mean that the arguments don’t happen. 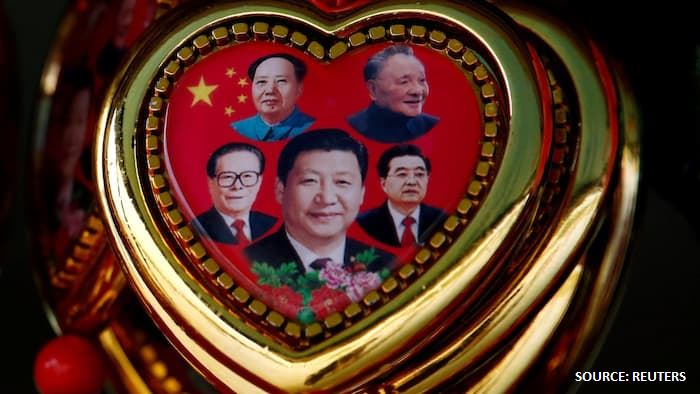 Yesterday’s announcement that President Xi Jinping is taking the “core leader” designation, only held previously by leaders such as Mao, Deng Xiaoping and Jiang Zemin, is thus a rare moment when the curtain is lifted and the arguments briefly enter the public domain. It highlights the intensity of the debate now underway between Xi and Premier Li over the direction of economic policy. “Reform steps have upset the vested interests of some people, and caused changes to the career and life of some people. It is only natural that there will be difficulties. Otherwise it will not be a reform. That is why I said that we must be bold enough to crack hard nuts and ford dangerous rapids during reform and that only the daring will prevail at key stages of reform”. This week’s developments highlight the context within which Xi is operating. His only option is to try and tighten his control of the government in response to Li’s renewed push to implement Populist policies. In turn, this confirms that fundamental economic reform depends on the President to make it happen. If Li is able to continue with his policies, and Xi loses control of the government apparatus, reform may well be abandoned. None of us know how the next 12 months will play out in China. My personal belief, having worked with Xi’s father, is that his son has inherited his determination and courage. Therefore I suspect he will win through – but it will probably be a closely fought battle. Prudent companies and investors would therefore be well advised to prepare for other Scenarios to develop, as it will probably be too late to react after the event. The problem was that commentators chose to ignore the potential impact of China’s New Normal policies. They failed to recognise that China simply couldn’t go on with its failed stimulus programmes, which had created major problems across the country with pollution and corruption. This threatened the whole basis of Communist Party rule, which has since Deng Xiaoping’s time been focused on increasing living standards to maintain social order. And in addition, there is the sheer waste of resources involved – $6.8tn over the past 4 years, according to the government’s own National Development and Reform Commission. There was just no way that the previous policy could continue. Equally important, however, in the quest for social stability, is China’s need for jobs. This was made clear at the critical 3rd Plenum in November 2013, which adopted what has now become known as the New Normal economic programme. Jobs are rapidly disappearing in traditional, high-polluting industries such as steel, as an excellent analysis by the Wall Street Journal confirms. But something has to take their place. Petrochemicals and polymers are an obvious choice, as they support jobs down the value chain in compounding, as well as in end-user industries such as autos, food packaging. Unlike steel, these jobs are not heavily polluting – and they are also relatively high margin. This is important, as it will allow domestic incomes to increase – and so help to support social stability. The growth of coal-to-chemicals production also provides a replacement outlet for coal no longer needed for steel production – thus helping to preserve jobs in the mining industry. Polypropylene thus highlights the level of change taking place in China. Its pace is now increasing, as President Xi must take most of the pain over the next 18 months, before all eyes turn to the next National Congress in November 2017, when he is due for reappointment. It would make no sense at all for him to turn up for this with a job half-done. When the Congress meets, he instead needs to be able to look forward, and point to the opportunities ahead from the Belt & Road initiative and the Asian Infrastructure Investment Bank. The next 18 months will be a tough wake-up call for those companies and investors who still want to believe that stimulus is just around the corner. “Why did nobody notice that China was the ‘elephant in the room’, in terms of being the main cause of today’s downturn in global demand and financial markets?” Answer: “Because we were all wearing rose-tinted glasses”. Our rose-tinted glasses make us want to believe that the boom will return, and that the new leadership will soon begin another major lending programme. This was the pattern since 2008, as in Japan’s ‘lost decades’. But what if we are all wrong? The new leadership have spent 2 years preparing for this moment. They know that we are at the end of China’s latest ‘Boom and Bust Cycle’ of the post-Mao period. Like Deng Xiaoping in 1977, and Jiang Zemin in 1993, Xi knows he has to push forward with the plan that has been developed. Once we take off our rose-tinted glasses, we realise the obvious truth – the risks of continuing with the old policies are simply too great. Xi’s reforms mean major change is underway in China. His policy shifts are already impacting the global economy, directly and indirectly. We cannot know if he will succeed in moving the economy towards a more sustainable future. But the blog hopes this Research Note will help readers to better understand the scale of what is being proposed, and to prepare themselves accordingly. Please take a moment to download the Research Note, and circulate it to your colleagues and friends for discussion. Major change is already underway in China, with potentially enormous implications for all of us. It is impossible to underestimate the scale of the changes now underway. Just as under Deng and Jiang, they are being led from the top by a new leadership group headed by Xi himself. Its key focus is on the “economy and ecology“, highlighting the economic and political crisis that developed during the “lost decade“. Today’s challenge is not to restore order after the chaos of the Gang of Four, or after Tiananmen Square. Instead it is to head off an existential crisis over pollution, coupled with demographic decline. The Party’s main think-tank, China’s Academy of Social Sciences, has thus headlined the “shrinking demographic dividend, overcapacity, choking pollution, risks from the property sector and local government debt“ as key threats to be tackled immediately. Bankruptcy was the key economic challenge facing Deng in 1977. Whilst as the World Bank noted, the major risk in 1993 was that ”China could have lost economic control and landed in a Latin American-style inflationary spiral”. What does this mean for the outside world? Deflation. Premier Li made clear last year that maintaining employment was his key priority. We can therefore expect China to focus on maximising export sales during the transition, effectively exporting deflation – as volume rather than profit will be the priority. Export Demand. China’s main export focus will no longer be the cheap textiles and plastic products of the past. Instead it will create jobs via an aggressive drive to sell affordable cars, relatively high-value chemicals and other products into Asian and developing country markets, based on its vast new capacity. Readers will no doubt have their own insights into the impact of these changes on their own businesses and personal lives. But one thing is very clear. China not only has to go down this path, as we described in chapter 6 of ‘Boom, Gloom and the New Normal’ in November 2011. But its leaders now clearly recognise that they have to change policy with great urgency. The blog always feared that the recent boom would turn out to be another of the ‘boom and bust’ cycles that have characterised the post-Mao period. No sane person would ever want to go back to the days of the Great Leap forward and the Cultural Revolution. It therefore hopes that Xi and Li will not only manage to overcome the current crisis, but also succeed in establishing a more sustainable future for the country. President Jiang Zemin inherited a difficult economic and political situation when taking power in 1993, as did Deng in 1977 and current president Xi last year. Jiang had to set in motion China’s second economic cycle of the post-Mao era, or risk seeing the country fall back into poverty and the political turmoil of another Cultural Revolution. If Xi does not move today, he will lose all the momentum that he has painstakingly built up over the past year. Essentially, it is ‘now or never’ for Xi and Li to act. The playbook they have followed till now is modelled on that developed earlier by Deng and Jiang, suggesting they understand what they have to do. Jiang took over as president from Yang Shangkun in 1993, having been General Secretary of the Chinese Communist Party since 1989. Like Deng, he was not impressed by ideas of democracy or political liberalisation. His first move, after appointing Deng’s protégé Zhu Rongji as central bank governor, was to follow Deng’s 1980 policy initiative and call in the World Bank for advice. The reason was simple, as Zhu said when welcoming the World Bank team, “Foreign monks know more than local monks“. This Dalian conference of June 1993 set out the economic programme to be adopted, with the aim of bringing China back from the abyss, and formalising Deng’s earlier dictum of the ‘socialist market economy’. The aim was simple – to keep the Communist Party in power by providing the population with increasing living standards. Jiang inherited a number of major economic problems, as the opening up of the economy had provided wonderful opportunities for corruption to flourish. The privileges of the Special Economic Zones such as Shenzhen were being increasingly abused by corrupt leaders able to buy products and services at advantageous prices for their own personal profit. Economic disaster, in turn, was leading Party hardliners to demand a return to the ‘old ways’. Zhu’s first objective was to resolve the enormous debts that had been built up by the powerful State Owned Enterprises as a side effect of the economic liberalisation. At the same time, he implemented extremely tight policies to bring China’s chaotic financial markets back under control. Asset prices had been allowed to rise out of control whilst corruption had flourished. His policies led to a decade where China achieved double-digit economic growth, whilst tackling major problems of bad loans in the banking system and rising unemployment. Jiang/Zhu maintained Deng’s control over the army and his focus on raising living standards and personal consumption, and aimed to tackle the power of the SOEs via large-scale privatisations. Equally, Deng’s policy of opening to the outside world was maintained. This encouraged the emergence of a strong export sector, which helped to support the economy through the Asian financial crisis and led finally to China’s entry into the World Trade Organisation in 2001. However, just as with Deng’s period, these early successes were not maintained once Jiang and Zhu left power in 2003. New president Hu and premier Wen instead focused on the easy option of developing China’s role, post-WTO entry, of being the ‘manufacturing capital of the world’. The SOEs were able to regain powerful positions in major industry sectors, whilst corruption again flourished. Then in 2008, just as in 1989, crisis intervened. Once again it was both economic and political in nature. The global financial Crisis sharply exposed China’s economic dependence on export orders, as personal consumption had actually declined since 2000 as a proportion of the economy. And so when orders disappeared in Q4 2008, 26 million people lost their jobs. Hu and Wen thus felt driven to replace this lost growth with a massive lending stimulus, as shown in the above chart. Now, as in 1977 and 1993, it looks as though the new leadership will have to pick up the pieces. As the blog described in November 2012, it is clear that the return of Jiang to a more active role was the prime cause of the changes that are now underway. The attack on corruption is a carbon copy of his earlier policy, as was the decision to bring in the World Bank for policy advice. Clearly, too, the trial of such a prominent and well-connected figure such as Bo Xilai could never have taken place without Jiang’s support. Tomorrow’s post will therefore draw out these parallels, with the aim of highlighting the key developments that we should expect the new leadership to implement with speed. It will be a very bumpy ride, but Xi and Li know that the alternative of ‘kicking the can down the road’ would risk leading to disaster.